Editor's Note: I was truly amazed at the high level of cheer-leading for New Trident by Congress demonstrated in the following article. I found myself commenting on nearly every statement made by these members of Congress who are quite literally rallying round the subs (and making sure the $$$$ are procured to build them). I highlighted my responses in red italics. Who are these people "representing"??? Congressmen gathered on Capitol Hill to tout the importance of replacing the nation’s aging ballistic missile equipped Ohio-class submarines. Of course, they did not gather to tout the importance of replacing the nation's aging transportation, electrical, or other utility infrastructures, or ensuring that we take proper care of veterans returning from wars that they sent them to fight. During a March 4 meeting sponsored by the Submarine Industrial Base Council, Rep. Rob Wittman, R-Va., chairman of the House Armed Services Committee’s subcommittee on readiness, said replacing the boats — also known as SSBNs — will be critical to the nation’s strategic outlook. Of course that depends on how you define "strategic." 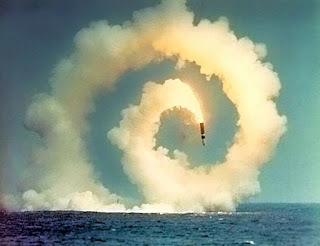 What kind of strategy relies on a concept (strategic nuclear deterrence) that has to work 100 percent of the time; one error, and it's all over (quite literally) for civilization as we know it. “We know how critical [the Ohio-class replacement] … is to our nation’s strategic position in the world and we want to make sure that SSBNs availability match Ohio-class retirement. Or make sure there is no gap in there,” he said. Our "strategic position" in the world? That is essentially where we dominate other nations in our military capabilities. In terms of ballistic missile submarines, since we have continued to deploy Trident at full capacity since the end of the Cold War, Russia is now rebuilding and will have new submarines and missiles to compete. How long can we maintain dominance, and how long can this go on before proliferation reaches the danger zone??? The United States still “rules the undersea world,” Wittman said, but Congress needs to ensure it continues investing in submarine platforms. That quote sums it up!!! How long can we continue to "rule the undersea world" to the cost of hundreds of billions of dollars even as our infrastructure at home crumbles and we empty the Treasury? The Navy’s 2016 proposed budget request asked for $1.4 billion toward research and development for the Ohio-class replacement program, also known as the SSBN(X). The program will replace 14 subs. The program will build 12 new submarines at an estimated cost of nearly $100 billion! With a $100 billion construction price tag, along with the additional life cycle costs, and costs of the nuclear missiles and their thermonuclear warheads (amounting to many hundreds of billions), how might this money be re-directed to desperately needed programs here at home? “Research-and-development efforts will focus on the propulsion plant, common missile compartment development and platform development technologies like the propulsor, strategic weapons system and maneuvering/ship control,” budget documents said. And all this work (along with the construction phase) will benefit "defense" contractors like General Dynamics Electric Boat and many others. SSBN-17 will be the first sub to reach the end of its service life in fiscal year 2027, according to a Congressional Research Service report released in February. “The remaining 13 will reach the ends of their service lives at a rate of roughly one ship per year thereafter, with the 14th reaching the end of its service life in 2040,” the report said. The Navy would like to have the first replacement procured by fiscal year 2021, the report said. The need for an Ohio-class replacement — as well as continued procurement of the Virginia-class fast attack submarines — is critical as adversaries bulk up their submarine fleets, said Sen. Richard Blumenthal, D-Conn., who sits on the Senate Armed Services Committee’s subcommittee on seapower. Yes, our "adversaries" are ramping up only because they feel the need to keep up with us. Of course, as the U.S. continues its massive Asia Pacific Pivot it is no wonder that China is building a ballistic missile submarine fleet. “The world is more threatening than ever before,” Blumenthal said. “Submarines are a place where [the] competition is endeavoring to overtake us. The Chinese and the Russians both have active submarine programs. … They are investing more heavily than ever before.” The "world" is threatening??? Now there's the ultimate global statement; sounds like everyone is out to get us - eegads! 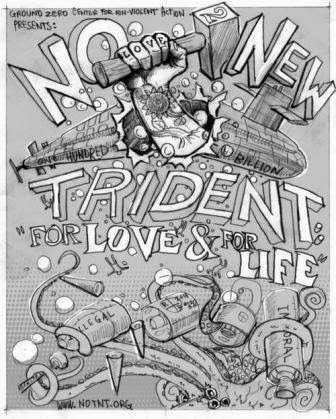 We have been threatening the world with the threat of use of nuclear weapons for nearly 70 years, and Trident is the ultimate threat. Of course the Chinese and Russians have active programs, and are playing catch-up with the U.S. The Russians ramped things back after the fall of the Berlin Wall, and yet the U.S. continued to deploy at Cold War levels - WHY??? The Navy’s fiscal year 2016 budget includes $3.3 billion in funding for two Virginia-class subs, according to budget materials. Sen. Christopher Murphy, D-Conn., agreed that China and Russia pose a risk to the United States. Is anyone getting tired of this rhetoric??? “Russia is not slowing down on its sub-building program,” he said. “We know that they just launched a new class of attack submarines. We know that they are pushing out the envelope of sub patrols ... we know that we’ve seen one within 200 miles of American shores and this is a reality that the United States is going to have to deal with.” Oh, and we ARE slowing down??? I don't think so. We're going full bore on building both attack and ballistic missile submarines! Further, China now has a submarine fleet that is larger than the Navy's. However, the United States still maintains the fastest, stealthiest and most advanced subs in the world, he noted. Replacing the Ohio-class submarines is important because they represent the sea-based leg of the nation’s nuclear triad, Murphy noted. The United State’s nuclear triad is represented by three legs — ballistic missile submarines, land-based intercontinental ballistic missiles and heavy bombers. "There is no future without the sea-based leg of the triad," he said. Or should we say that the future looks perilous if the U.S. continues to rely on thinking rooted in Cold War thinking and pushes us into a new Cold War by building a new generation of Trident that would sail into the end of this century - assuming we go that long without either accidental or intentional nuclear war? With the Nuclear Non-Proliferation Treaty Review Conference coming up in April, President Obama should be making "good faith efforts" to work with Russia and the other nuclear nations to finally make real efforts toward nuclear disarmament (rather than building a foundation for out of control nuclear proliferation and a new and dangerous Cold War). Does the President have the courage to stand up for humanity and its future? What better legacy could he leave from his Presidency?